Thank God for His selfless, unconditional love given to us in Jesus. Ask the Holy Spirit to open your hearts to receive more of God’s love. Ask God to open your eyes to see people who are hungry for love. When have you longed to be with someone you loved? Who was the person, and what was the circumstance? 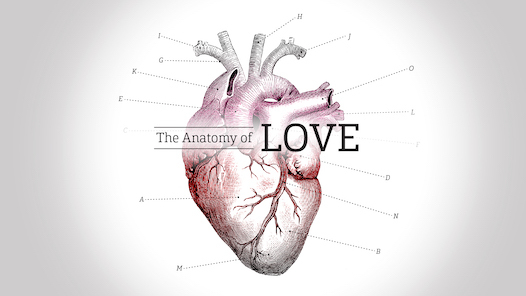 This week we will close the Anatomy of Love study by exploring applications of “love never fails” and “love abides” (1 Corinthians 13:8,13). Describe your response as you read this statement aloud: “God longs for me, (insert your name), with agape love.” What thoughts come to mind? What do you feel? How are you growing in receiving God’s agape love? Picture agape love as the Amazon River during rainy season, up to 24 miles wide, with a source that never runs dry. The Holy Spirit gives you access to this river (Romans 5:5). How are you making yourself available to the Spirit to receive agape love? Brainstorm ways to increase your availability and receiving this week. Describe the connection between receiving and giving agape love. How can you dip into the “river of agape love” to give to others? God’s love keeps going when ours stops. Share a recent situation in which your love ran short. If Jesus had physically walked into the situation with a huge vat of agape love to pour over you (and only you could see Him), would it have changed anything? Busyness blocks your receiving and giving of agape love. Describe a time when busyness almost blinded you to someone needing agape love. When you “saw” the person, was agape love released in you? Unforgiveness blocks your receiving and giving of agape love. Who is God calling you to forgive? What is your response to God’s call? Read 1 Corinthians 13 once more, out loud, slowly, savoring the agape love of Jesus. Pray for the repairing of the East Bay fabric through your sharing of agape love. Wrap up memorizing 1 Corinthians 13. Boldly share agape with someone each day as the Spirit leads. Write a letter to Jesus, telling Him you are opening up to receive more of His agape love. Read it out loud to Jesus as a prayer.